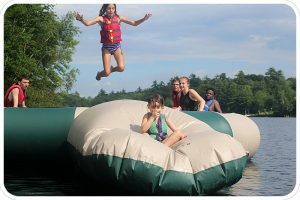 Located on the shores of Lake Kanasatka in Moultonborough, Camp Quinebarge is one of the premier, Accredited Camps in New Hampshire. We have maintained Accreditation through the American Camp Association for decades, ensuring that we comply with the most current industry standards relating to safety, health, programming, staffing, and more. What Does ACA-Accredited Even Mean? 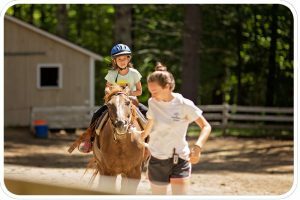 Being Accredited means that we have met or exceeded over 200 standards set forth by the American Camp Association, the only independent summer camp-accrediting organization in the country. These standards reflect the most up-to-date and research-based standards in camp operation, exceed state requirements for summer camps, and are approved by the American Academy of Pediatrics and the American Red Cross. Areas covered in the accreditation process include: aquatics, program and activities, trips, health and wellness, human resources, food service, site safety, operational management, and transportation. Because we maintain Accreditation, we know our program, practices, and procedures are the best and safest in the industry, leaving us with more time to spend on fun and friendships. Over the winter, we plan all our activities – swimming, boating, tubing, arts & crafts, ceramics, woodshop, nature, hiking, biking, archery, Adventure, tennis, soccer, baseball, kickball, capture the flag, volleyball, basketball, gaga, floor hockey, gaga, laser tag, and more! – and special programs like Color Wars, Monkeytown Carnival, all-camp trips, and special surprises for each session. 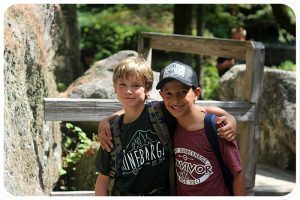 We focus on the fun campers will have, but also on creating friendships through cabin activities and trips, team building, and collaboration. We take the time to develop this side of our program, and guarantee that campers will not only have fun, but that they will go home with memories and friendships that will last a lifetime. Each night as we sing at our Friendship Circle, we say the line “Friendship is everlasting, here at Camp and later on…” – and at Camp Quinebarge, it’s true. We intentionally create community and foster friendships through activities and shared experiences. Cabinmates bond during overnights, special trips, nightly Candle Pass, and cabin-based special activities. But friendships at Quinebarge don’t stop at the cabin level. Because we allow campers to choose their own activities, and sit where they like at meals, campers get to know and form friendships with everyone at camp, regardless of age and gender. 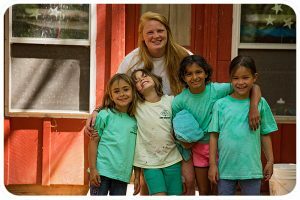 Our campers tell us year after year that spending time with and befriending campers outside their cabin is one of the most special aspects of Camp life.